Village elders in Ghazni Province Afghanistan have enacted edicts that demand the banishment from town of drug users, and called for villagers to burn down the homes of drug dealers who don’t heed warnings to stop plying their wares. Desperate to end the cycle of heroin addiction and despair that had plagued the men in Ghazni Province in remote Eastern Afghanistan, tribal elders called for draconian new measures intended to deter use and trafficking. Villagers using drugs are given a deadline to quit and those that cannot or will not quit by that date are evicted from the village and not allowed back into the town until they can prove their abstinence. Sellers of drugs are first given a warning, and then a hefty fine (about $2000 USD). Should a drug dealer continue to peddle after getting fined, the villagers gather together and as a third strike penalty, burn down the offender’s home. Tribal elder Mohammad Razaq claims the strict measures are necessary, saying, "Heroin addiction among our young people was destroying us. This destruction was getting worse and worse every day and we felt that we had no choice but to deal with it in this way. So far, more than 200 addicts have been evicted from the village. 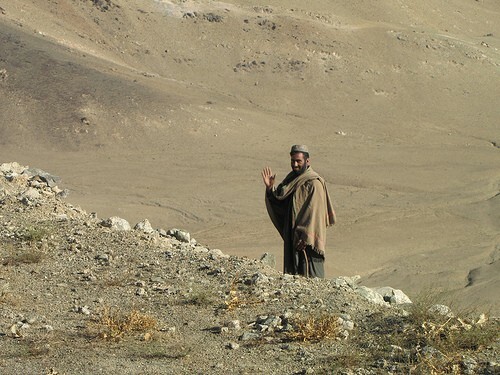 Although the local police chief applauds the villagers for taking things into their own hands, the head of Ghazni’s Provincial hospital, Dr. Ismail Ibrahimzai, disagrees with the idea, saying, "It is not possible to cure addiction by force, we have to encourage addicts to come to the treatment centres when they are ready. If there is no support network for them, and no health care, suddenly being forced to stop the drugs can be life-threatening." He says that treatment centers are available for the estimated 20 000 mostly men but also women and children addicted to heroin in the province. Supporting those who keep going back out: how to maintain hope and effectively cope when a loved one just can't seem to stay sober. As much as some would like to call those with addiction weak willed or immoral, the truth of it is that addiction is simply a treatable brain disease.